St. Philip Neri, the 16th century founder of the Oratory, gave his spiritual children the freedom to follow their own initiatives; he did not ask them to take vows and wished the house to be independent of one another. The houses of the Oratory, like Greek colonies, were to be independent and free to develop their respective gifts and mission. 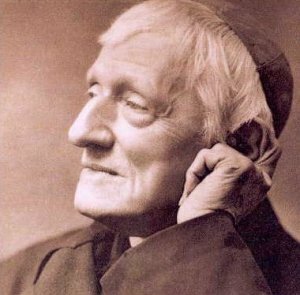 The “one rule is Love” and its weapon “influence.” Newman thought that such an institution in the Catholic Church was well suited to begin the Catholic University of Ireland which religious order, like Imperial Rome, would later organize and consolidate. Returning to the history of the development of universities, Newman now turns to the Macedonian, Alexander the Great and the city of Alexandria. Alexander, educated by Aristotle and Calisthenes, had a rare talent for organization and administration. He was a cultivated youth who spread Greek learning to his vast conquests. “Eumenes and Ptolemy, after his death, engaged in the honourable rivalry, the one in Asia Minor, the other in Egypt, of investing the dynasties which they respectively founded, with the patronage of learning and of its professors.” Newman notes that these generals may be considered the first founders of public libraries. He continues with a description of the library at Alexandria and the Alexandrian College. Ptolemy carried out a plan for the formal endowment of literature and science. The immense library was by itself an attraction for students, but Ptolemy wished the teachers to be “as stationary and as permanent as his books.” He chose to found a college or Studium Generale, endowed with ample revenues. Newman will continue to describe the genius of the city of Alexandria and its contribution to the history of universities.